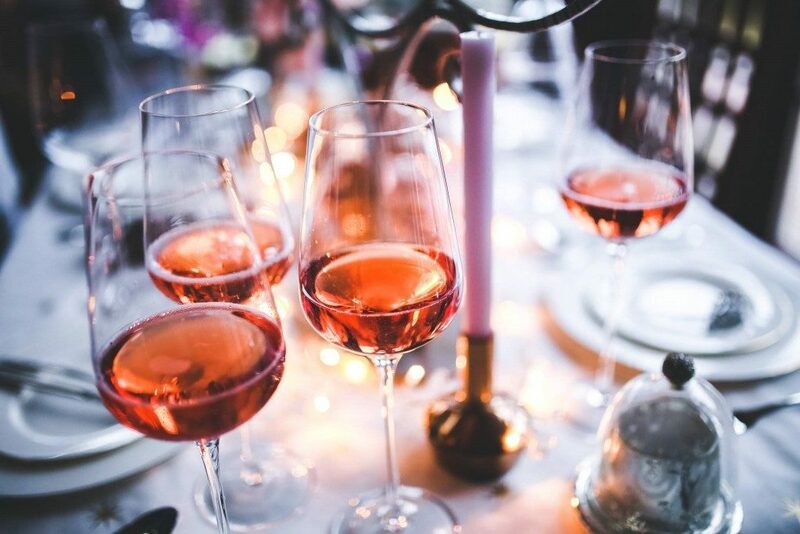 Richard Household from Brompton Wines, one of our main suppliers, gives us a rundown of his favourite rose wines to enjoy this summer. Not so long ago most rosé wine was enjoyed by students and those of among us that couldn’t decide between ‘proper’ wine, white or red, so settled in a liberal ‘sitting on the fence’ sort of way for a rosé. Supposedly real wine drinkers or connoisseurs would avoid rosé and dismiss it as little more than alcoholic fruit juice and sneer mercilessly at anyone who would actually choose a rosé when not in a bar on the Cote d’Azur. Well those days are long gone and sales of rosé continue to rocket. The wines themselves have improved beyond measure and are enjoyed by us all throughout the year but of course they come into their own in our long hot (ahem!) summers. Sip a glass of chilled Provencal rosé, close your eyes and dream of holidays in the south of France – well it works for me. So what is rosé, how is it made, what qualities should you be looking for and which ones should we be buying? Wine making lesson no.1 – how to make rosé wine! The colour in wine comes from the grape skins. The pulp and juice inside the grape is clear, so when a grape (even a black one) arrives in the winery after harvest and is pressed the juice is clear. That’s why Champagne is white when two of the three grapes used to make it are black – Pinot Noir and Pinot Meunier. The other grape used in Champagne is Chardonnay by the way. To make red wine, the black grapes (like Pinot Noir, Cabernet Sauvignon or Merlot) are crushed and the juice, or must, is left in contact with the skins for two to three weeks in order to extract colour, amongst other things. The longer the extraction the more colour. For rosé, the juice remains in contact with the skins for much less time – normally two to three days. Just long enough to the give the wine a little colour and to keep the lovely, fresh and deliciously bright fruit flavours of strawberry and cherry. It is also possible to blend a little red wine with white wine to make rosé although this is not so common with still rosé and more frequently used when making rosé Champagne. The trick is to get enough colour without losing all those wonderful fresh fruit flavours – strawberries and cream – perfect for Wimbledon- freshly picked cherries and delightful vibrant acidity. Rosé is all about pleasure and feeling good. The wines are rarely complex but that doesn’t make them any less enjoyable. A bottle of Loire rosé is perfect with some cheese, charcuterie and large bowl of freshly made salad with a dressing of olive oil, lemon, white wine, honey and mustard in the garden with friends. It’s all about balance between those vibrant, racy fresh fruit flavours and enough acidity to cut through it and hold it all together. The fruit on its own without the acidity will taste cloying and a bit like sucking on a boiled sweet. Freshness is the key. I have many favourites but here a few: I know everyone gets very excited about Provencal rosé but I’ll start with my favourite – the Loire Valley. The combination of the cooler climate and the amazing Pinot Noir means you get outstanding rosé. At the lower end look for Vin de Pays Pinot Noir Rose – we have one called La Petite Perriere Pinot Noir Rose 2015. Absolutely delicious at under £10 per bottle. The best Loire rosé are from Sancerre and will cost you around £15 per bottle but well worth it. They always have superb fruit flavour. And what about Provence Rosé – yes there is something about the stunning countryside, wonderful weather, superb food and famous rosé. Be careful, you pay a premium for Provencal rosé, some of the prices are crazy and the quality is mixed. Some of the wines are reaching cult status, like Domaine Ott which can be more than £30 per bottle. Chateau d’Esclans Garrus Rosé is over £60 per bottle – that’s for a rosé – although it is unbelievably good. From the same producer you can buy the extremely good Whispering Angel Provence Rosé for around under £20 – it’s fairly widely available. Waitrose sell the beautifully made Mirabeau Provence Rose made by Stephen Cronk. Matthew Dukes described the wine as ‘heart achingly beautiful’ – I don’t know about that but it is very good! Stephen Cronk is the same person who became a YouTube sensation with over a million views by uploading a video demonstrating how to open a bottle of wine with a shoe. Very handy when you are out in the countryside having a picnic and have forgotten the bottle opener! !